Photo by Todd Atticus. 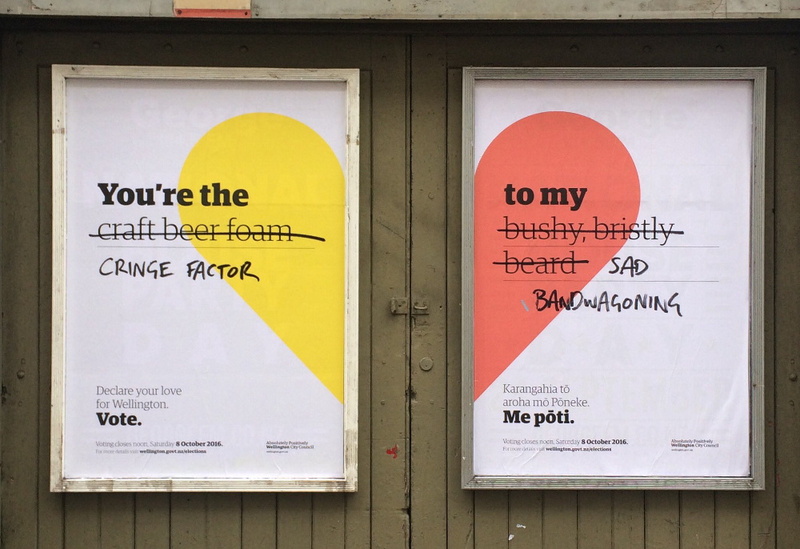 Original artwork by the Wellington City Council — and me. So, that was me. I’m the wag, in the old-timey parlance of the newspaper. There’s little point pretending otherwise, since the sign was twenty steps from the front door of the pub where I work — and a large part of my m.o. here involves uploading literally hundreds of handwriting samples you could compare against. I’m all for the normalising of beer into the wider popular culture, but this crap isn’t helping. And I say that as a bearded someone (admittedly, it’s neither “bushy” nor “bristly”) who works in the (for want of a better word) craft beer business. 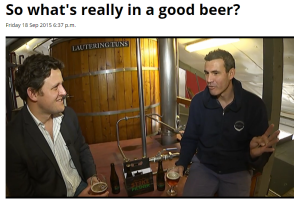 I spent a few hours on Saturday in the beer-bunker that is Hashigo Zake, in the company of two-dozen-or-so like-minded folks and enjoying the Brewers Guild Awards beaming at us from Auckland over a mercifully-dependable livestream. It was a properly marvellous occasion,1 and the Guild (with new host, Hilary Barry) put on a great show. 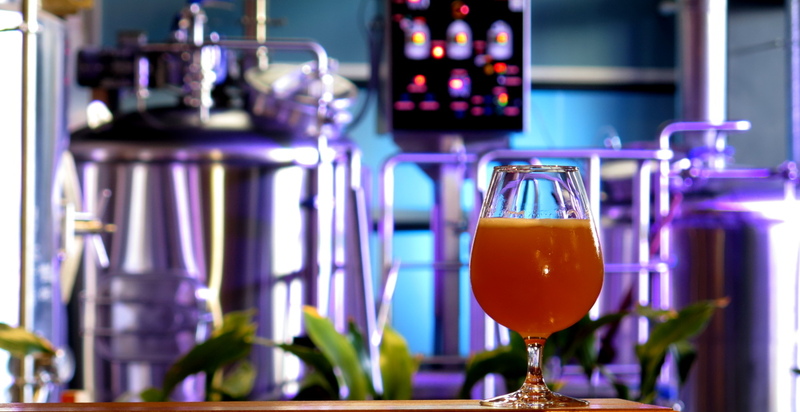 It’s truly heartening to see the gradual evolution of the industry, particularly the maturation of the “craft”2 corner thereof as it becomes less of a niche or subculture and settles into being just part of the landscape. But as if on cue, two abysmal videos surfaced late last week3 — both from TV3’s ‘Story’ program — to remind us how far we have to go in terms of generalised acceptance and understanding. If you can stand the cringe, I think they’re worth watching for how instructively shallow and terrible they are. 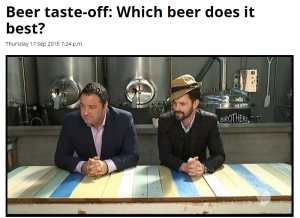 The first is styled as a taste-off between craft beer and quote-unquote “normal beer”, with the former signified by hats, hipsters and IPA and the latter bluntly equated with lager. 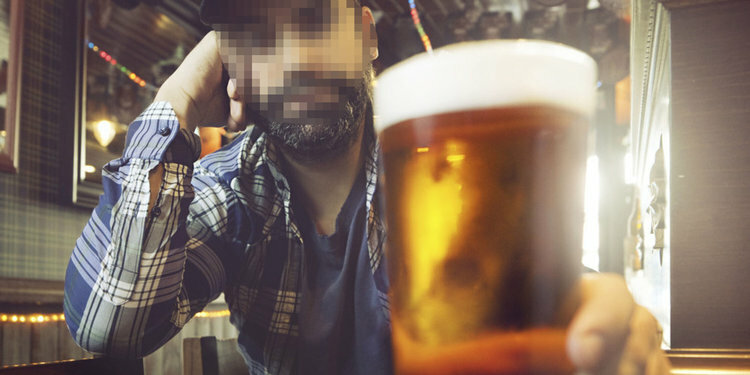 Through four rounds of anonymous beers from unidentified styles served in a misnamed bar (“Beer Brothers”), the contestants follow their tired generational stereotypes and spend a suprisingly long time saying not very much of substance. The comparisons, kept completely mysterious, don’t really illuminate anything: were the beers they put up against each other even trying to do similar things or was this pure apples-to-oranges time-wasting that forgot that everything is best in its right place and something calm and friendly isn’t automatically inferior to some-other-thing attention-grabbing and audacious? Who the hell knows? Weirder and worse, though, is the rambling chat with Scott McCashin.4 It puts the “taste-test” piece to shame in terms of its wordy emptiness, with bonus side orders of contradiction and claptrap. 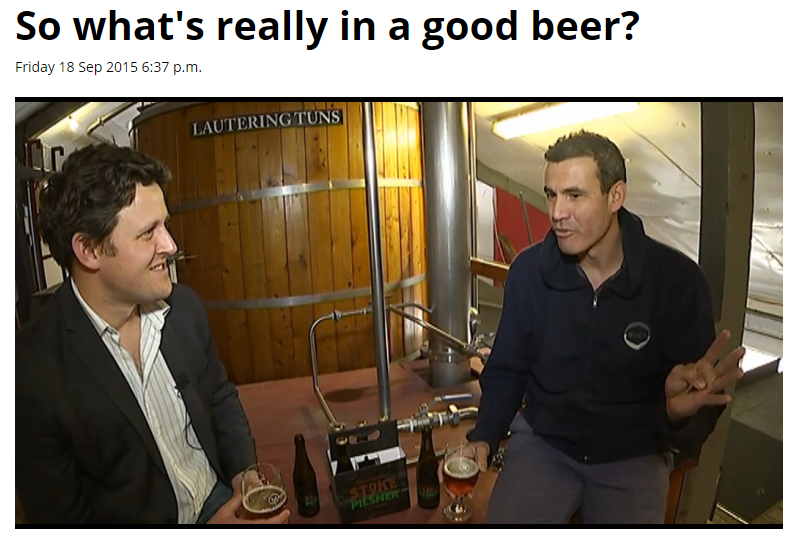 The website dutifully regurgitates McCashin’s nonsense claim to being New Zealand’s first craft brewery — a boast which rings hollow whatever your definition of that contentious term5 — and you could easily come away from listening to the piece knowing a lot less than you did going in. It’s an absolute mess: mainstream beers are all ‘thinner’ and brewed with ‘less ingredients’ and perhaps particularly ‘less hops’, seemingly across the board — and Heineken fills a strange duel role as the name-dropped example of something flavourless and disappointing and the hoppy interesting thing that started a revolution. Craft beer, he says, “doesn’t have sugar added” which will come as a huge shock to generations of Belgians and Brits and others — if you don’t understand that sugar isn’t an inherently evil ingredient and can be used to make certain types of beer more enjoyable (rather than merely for cost-cutting) then you need to stop “educating” the public immediately and maybe reconsider whether this is the right business for you. Scott’s sole good point about the wide appeal of craft beer is lost under a mountain of muck and the reporter does nothing to tease out any clarity or coherence, instead belaboring a weird analogy about religion and dragging out the old “extreme beer is for hipsters” trope. His late realisation that all this uncritical dreck amounts to a mere ad is depressingly tossed aside. Both of these pieces should’ve been spiked. There’s just no there there, in either of them. They add precisely nothing, merely reinforcing old clichés and (worse) muddying the water. The latter, in particular, is hopefully an embarrassment to the producer, editor, reporter and subject alike. If the brewery are delighted with it, or the Brewers’ Guild and/or their PR firm have chalked these up as marketing wins,6 then excuse me while I despair. 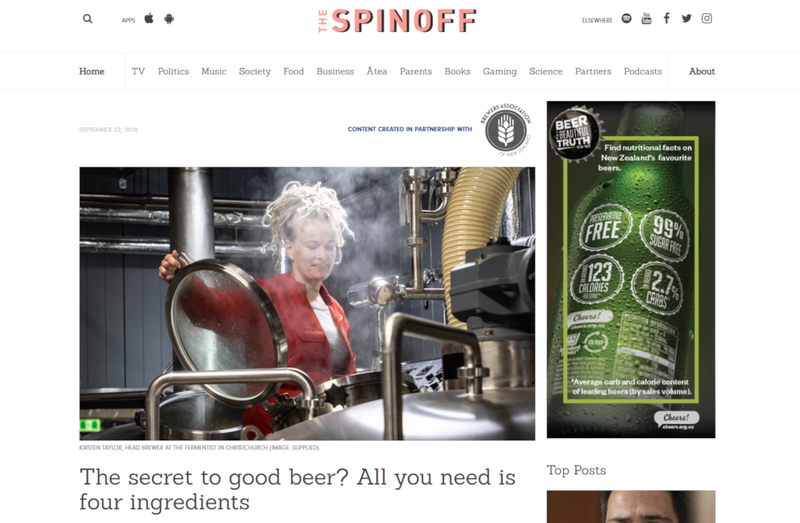 There is a lot of good stuff going on in the beer-related and beer-adjacent media.7 Some of it, to my delight, percolates into the mainstream and is presented to diverse new eyeballs. But we all need to do more, and do it better, to break through the stereotypes and misinformation and nonsense.